Where can musicians go to learn to feel better in their body and movements? Find more freedom, and yet more security with their instrument? And improve their presence on stage? Colin Pip Dixon, Guild Certified Feldenkrais Practitioner, gives workshops and group classes using the Feldenkrais Method®, specifically addressing musicians’ needs and questions. He also gives individual, hands-on sessions. 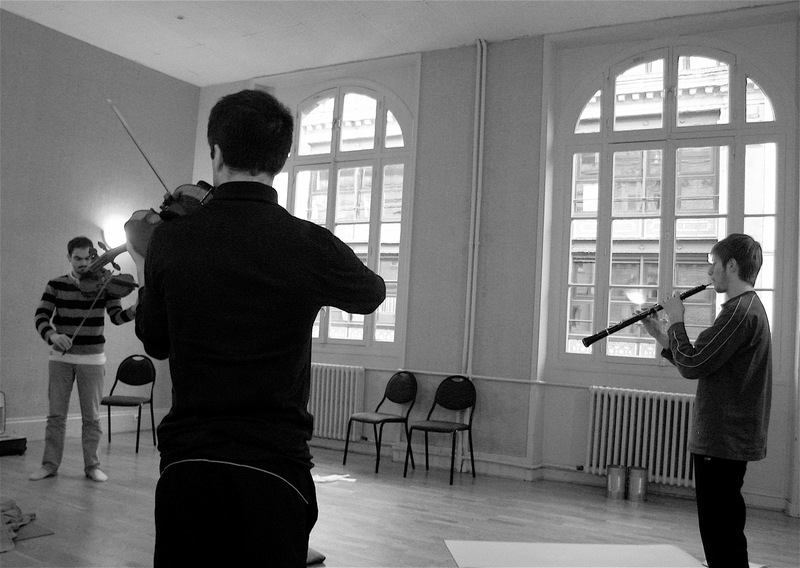 His journey as a violinist (performing both in concert and in the theatre) has led him to understand that awareness and adaptability are among the most important skills a musician can develop. The way we move and use our body is a fundamental part of making music, and yet it is all too often forgotten or explored as an afterthought. Feldenkrais’s method combines the intelligence and precision of the scientist with the freedom and playfulness of the artist. The lessons consist of simple guided movements which help to bring more freedom in the body, but also teach how to learn more efficiently and overcome difficulties getting in the way of efficiency and fulfilling one’s potential. Through his own personal experience Dixon has developed specific applications of this work for instrumentalists, singers and actors. There are no ready-made recipes, but there are principles which can have extraordinary results immediately and over a lifetime when they are practiced and integrated.